As global leader you bear a special and personal responsibility to promote peace, tolerance and respect in your country and our global village. His Excellency Sheikh Nahayan Mabarak Al Nahayan, U.A.E. Minister of Higher Education and Scientific Research and President of Zayed University, invited Dr. Hubertus Hoffmann, President and Founder of the World Security Network Foundation, to speak about the WSN project The Human Codes of Tolerance and Respect which wants to create a more peaceful world by a forceful promotion of tolerance and respect by the global elite in connection with parents, educators, religious leaders, the media and open-minded politicians. For my organization, the World Security Network, tolerance and respect are the lifeblood of peaceful coexistence and crucial elements of the “soft powers” of peacemaking. A main aim of the respected Prophet Muhammad more than 1300 years ago was to bring peace to the different tribes in Mecca and the Arab Peninsula – where we meet tonight – to create a better society of din and hilm and to reduce the negative forces of jahiliyyah and revenge. As a global network, we at WSN believe that these wise ideas are truer today than ever before and must be implemented actively. We must all together water the palm tree of tolerance and respect. The soft factors of peacemaking are often put aside by the harder military instruments of peacemaking. The focus on the promotion of stability through military means and homeland security has led to an unbalanced approach. The human soul and dignity as the heart of peacemaking have been almost forgotten, and a cold power policy has prevailed which will not be able to produce stability and perpetual peace in a diverse world of globalization. We now need a global jihad for tolerance and respect like the Prophet demanded – a new state of true peace and balance for our global village, including Muslims, Christians, Jews, Hindus and all the many different positive forces on earth. We need a steady promotion. 2. It Is Your Task as the Elite to Promote Tolerance and Respect Now! 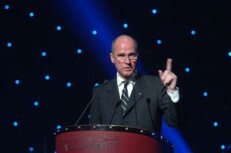 The Human Codes of Tolerance and Respect was the title of the dinner speech by Dr. Hubertus Hoffmann, Founder and President of the World Security Network Foundation, to an audience of 1,500 at the Women as Global Leaders Conference organized by the Zayed University in Dubai: "We must all together water the palm tree of tolerance and respect. The soft factors of peacemaking are often put aside by the harder military instruments of peacemaking.The human soul and dignity as the heart of peacemaking have been almost forgotten and a cold power policy prevailed. We now need a global jihad for tolerance and respect like Prophet Muhammad demanded- a new state of true peace and balance for our global village, including Moslems, Christians, Jews, Hindus and Buddhists." 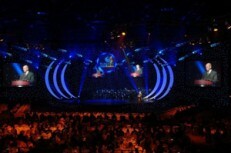 - we do not have an action plan like in business for their promotion. Does this work? – No. Will this work in the future? – Not at all! Who can actually change the world and promote tolerance and respect effectively? Only you – the global elite of this world – can do it! - and we only observe the negative actions of radical minorities on TV. - We have a large pool of creativity and optimism. But what do we do with all this? I am calling for an elite which takes over the promotion of tolerance and respect as a common soul of our global village now, and does not just wait for politics. I am calling to impeach the radicals by taking over as an elite the responsibility for a better world of moral values, especially for our children. We as the elite have no choice but to take responsibility and take action now. If we do not, nobody will do it effectively. – but rather ask yourself what you can do with your friends and networks for a better world together now. Which moral values should we promote? Is it possible to find a consensus between the Christian West and the Islamic world, and also to include Hindus in India and Buddhists in Asia? Can we avoid a clash of civilisations? Yes – we already have Human Codes of Tolerance and Respect in all our different religions and cultures. We have only forgotten about our common roots. - the promotion of human dignity and love. The Prophet Muhammad was just such a living example of tolerance and respect towards the older religions of Judaism and Christianity – contrary to hate propaganda and the perception in Western media. "Unfortunately today we leave the most important questions of peace, reconciliation, tolerance and respect to a loud but tiny minority of radicals, a majority of mediocre politicians, and mainly backward-looking academics. Furthermore, we do not have an action plan like in business for their promotion. Does this work? No. Will this work in the future? Not at all! Who can actually change the world and promote tolerance and respect effectively? Only you – the global elite of this world – can do it!" When the Abyssinian Christian delegation arrived in Medina, the Prophet provided them with lodging even in his own Mosque, and he himself attended to their hosting and service. When the Christians of Najran came to Medina, the Prophet lodged them as well in the Mosque and permitted them to hold their prayers on one side of the Mosque and the Muslims on the other side. In this Mosque, dialogues between Christians and Muslims were conducted with freedom, respect and tolerance. Holiness in Islam under the leadership of the Prophet was inclusive rather than exclusive. Seventeen of the Jewish tribes in Medina lived with the Prophet and his new Muslim community in peace for many years. The Qur’an demands not only tolerance but also a firm belief in the scriptures - the Torah, the Bible and the Qur’an - and all the messengers without distinction. "The Prophet Muhammad was just such a living example of tolerance and respect towards the older religions of Judaism and Christianity – contrary to hate propaganda and the perception in Western media. Holiness in Islam under the leadership of the Prophet was inclusive rather than exclusive. If they wished, Jews and Christians could worship in the new mosque of the Prophet in Medina, because they too were part of God’s family with Abraham as the common father and Jesus and others as prophets like Muhammad. The Qur’an demands not only tolerance but also a firm belief in the scriptures - the Torah, the Bible and the Qur’an - and all the messengers without distinction. Islam means peace and submitting one’s will to the Almighty God and including – not excluding – the other Abrahamian faiths of Judaism and Christianity with a love for one God, other human beings and your neighbour." When the Prophet Muhammad was asked what was meant by faith, he replied: “Self-restraint and gentleness.” (in 630 CE - Ibn Ishaq, Sirat Rasul Allah, 821, in Asad, Message of the Qur’an, 794, in Karen Armstrong, page 200). and including – not excluding – the other Abrahamian faiths of Judaism and Christianity with a love for one God, other human beings and your neighbour. as was the case with Jesus Christ by Christianity during the 1800-year long period of the Inquisition, the Crusades or the Thirty Years’ War against the Protestants in Europe. to bring back Muhammad’s teaching of mercy, respect, and tolerance to all of us in East and West. Out of this will come a new intellectual partnership for us all. True Muslims must actively reject the new negative forces of jahiliyyah and promote the Prophet’s moral world of din and a society of hilm. Why should the 93 percent of moderate Muslims leave the public opinion and attention to the tiny minority of only 7 percent of radicals - which you will find in any other society in the world? – a very long road back to Jesus’ true teaching. as we all belong to one large global family with strong common roots of Abraham and our common prophets. - together promoting tolerance and respect. The Burj al Arab hotel is the symbol of progress in Dubai: "Can we avoid a clash of civilisations? Yes – we already have Human Codes of Tolerance and Respect in all our different religions and cultures. We have only forgotten about our common roots. We find the Golden Nuggets of Humanity in Islam, Christianity, in Judaism, in Hinduism and Buddhism - the respect for creatures - the promotion of human dignity and love." We should never just analyze or demand tolerance and respect. As businessmen and businesswomen we are used to looking for a concrete action plan. How can we promote step-by-step the Human Codes of Tolerance and Respect? I invite you to join our World Security Network project with your own ideas and best practice examples from all over the world. We should start by collecting them all over the world and learning from them for our communities. -families, educators, religious leaders, journalists and politicians. There are thousands of active grassroots projects from which we can choose best practice examples of tolerance and a number of academic and nongovernmental approaches to promote tolerance and peaceful coexistence. There is as yet no precise strategy and recipe, however, for implementing these best practice examples into political action worldwide. Implementing the Codes of Tolerance is enormously important for conflict resolution, nation building and as a soft factor of peacemaking. The World Security Network Foundation is collecting ideas, policy examples, and best practice examples to promote tolerance and peaceful coexistence. “Art for Peace” an initiative of the Tel Aviv Museum of Art to educate Jewish and Arabic children in cooperation through working on art projects. The “World of Difference” Road Show in Germany for young Children by the Berlin Children’s Exhibition Foundation, showing that diversity and the strong Turkish Muslim population in Germany are something positive for the Germans- co-sponsored by WSN. Priority in school for learning foreign languages, and always the language of the state where you live as a foreigner, because languages are the most important doors to understanding other cultures. Joint Schoolbook Commissions with representatives from different groups, presenting two sides of history. Enhancing tolerance and respect in religious lessons and books at school focussing on our common roots and aims of respect and tolerance. "I am calling for an elite which takes over the promotion of tolerance and respect as a common soul of our global village now, and does not just wait for politics. I am calling to impeach the radicals by taking over as an elite the responsibility for a better world of moral values, especially for our children. We as the elite have no choice but to take responsibility and take action now. If we do not, nobody will do it effectively. - True Muslims must actively reject the new negative forces of jahiliyyah and promote the Prophet’s moral world of din and a society of hilm. Why should the 93 percent of moderate Muslims leave the public opinion and attention to the tiny minority of only 7 percent of radicals - which you will find in any other society in the world?" Local committees with religious leaders of the Christian, Islamic and Jewish communities to visit and get to know one another. Reconciliation ceremonies in churches, mosques and synagogues, inviting those from other faiths like the Prophet did a long time ago in Medina. Declaration of the editorial staff to cover more stories on reconciliation in TV, print and radio, not only hatred and terror. They should show the world as it is: full of hope and people taking responsibility for the younger generation, especially in publicly controlled media. The establishment of a governmental position of State Secretary or Special Representative for Dialogue of Cultures and Tolerance, with a budget similar to the environmental and arms control initiatives of the 1970s and 1980s. Legislative resolutions requiring governments to publish an Annual Report on the Status of the Dialogue of Cultures, Tolerance, and Peaceful Coexistence. A National Day of Tolerance and Minorities. Establishment of a National Truth and Reconciliation Commission like in South Africa. in connection with parents, educators, religious leaders, the media and open-minded politicians. We need to come back to our common moral roots. A better world is possible - for our children. Let’s do it and promote The Human Codes of Tolerance and Respect now!